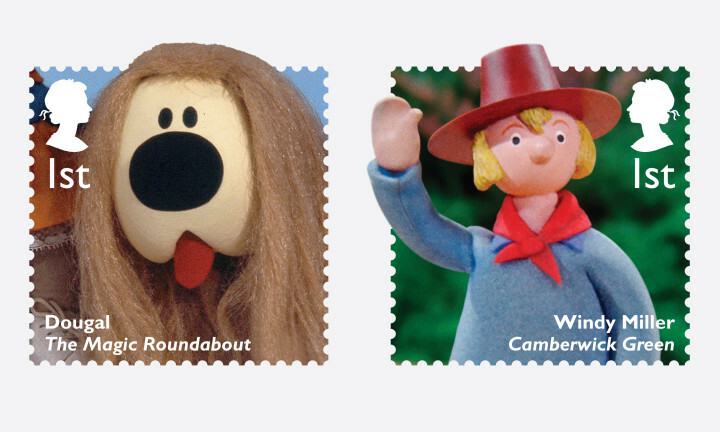 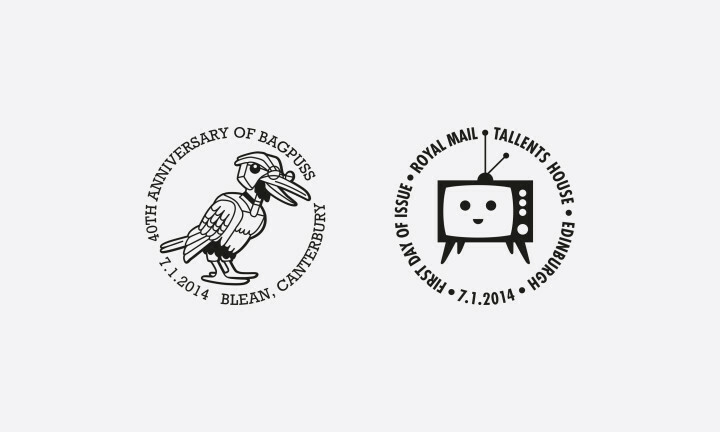 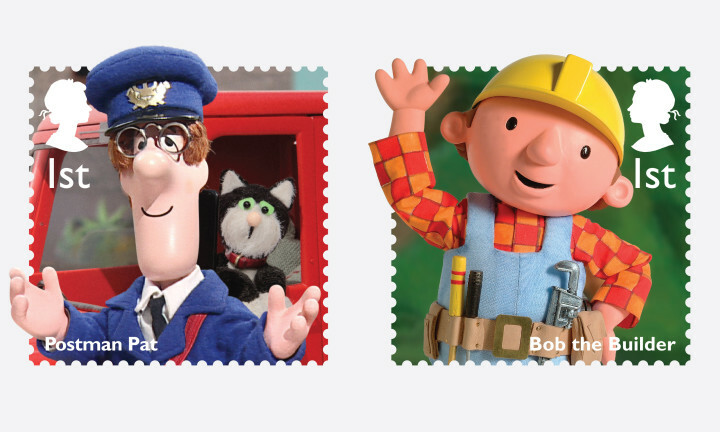 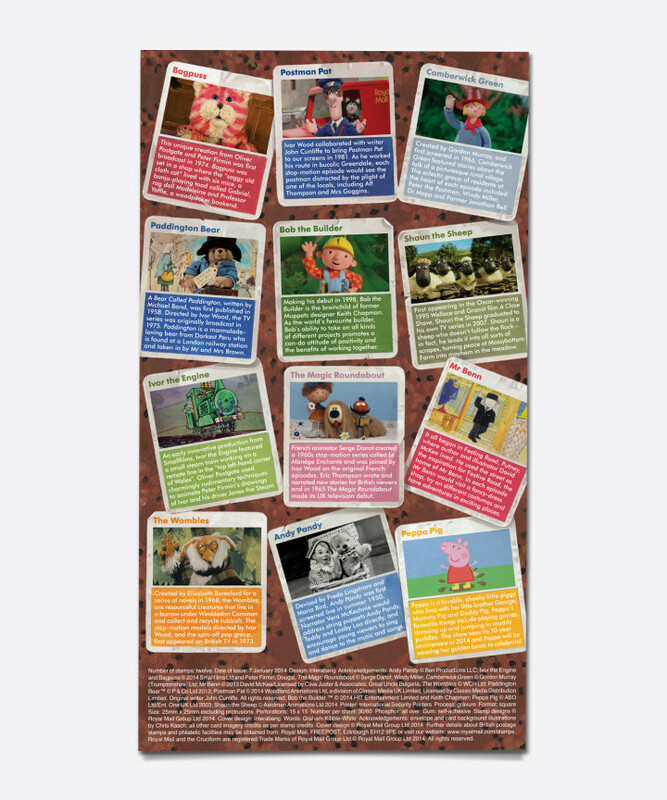 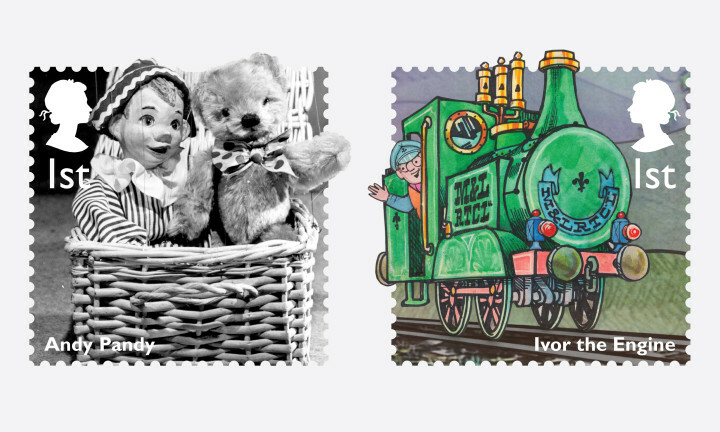 We were commissioned to create a set of 12 special stamps and collectibles, commemorating classic children’s TV characters spanning over 60 years of programmes — from Andy Pandy to Shaun the Sheep. 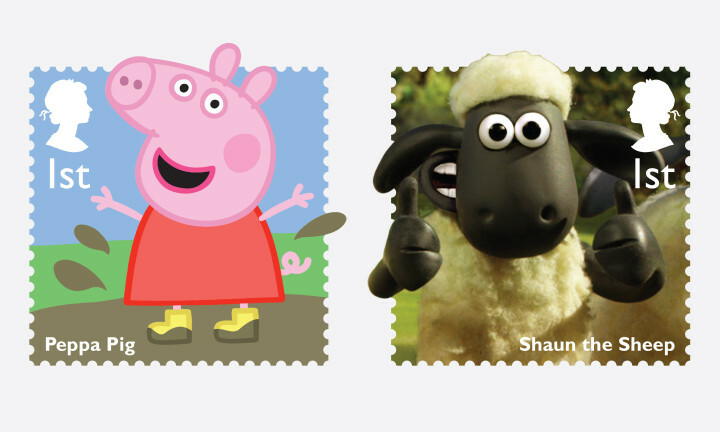 We wanted the stamps to reflect the playfulness of the characters and feel like a child’s sticker set — hence the characters bursting out of the sides. 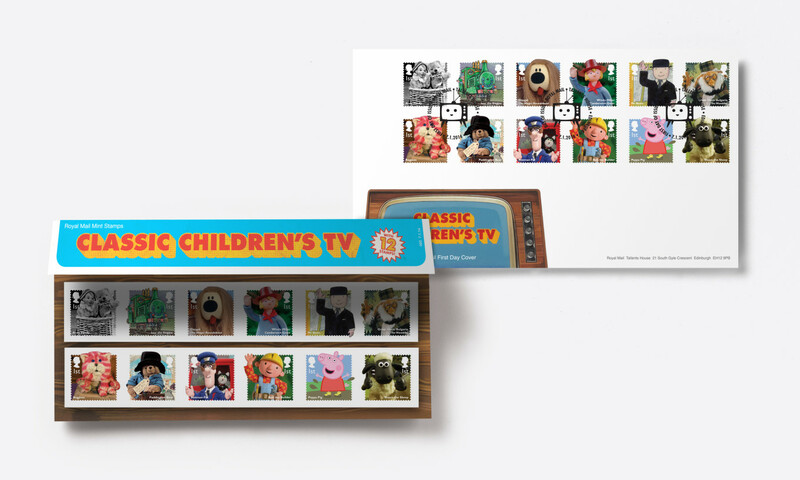 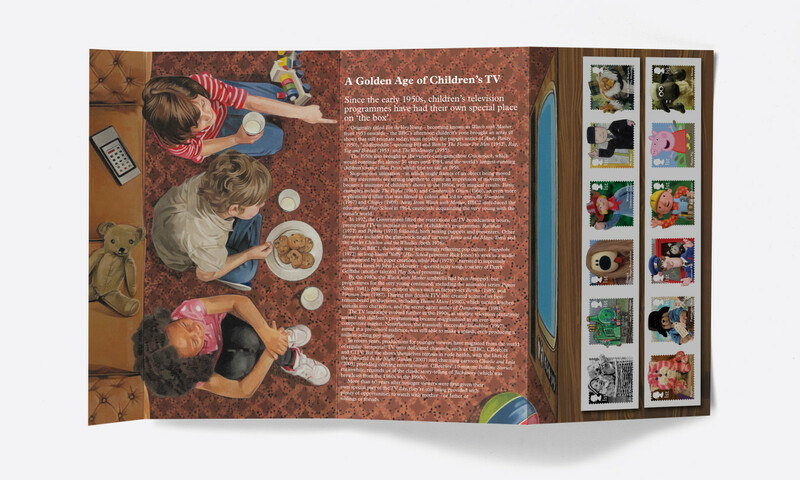 The first day cover and presentation pack expands on the stories of the characters featured on the stamps and features an essay on the golden age of children’s TV. 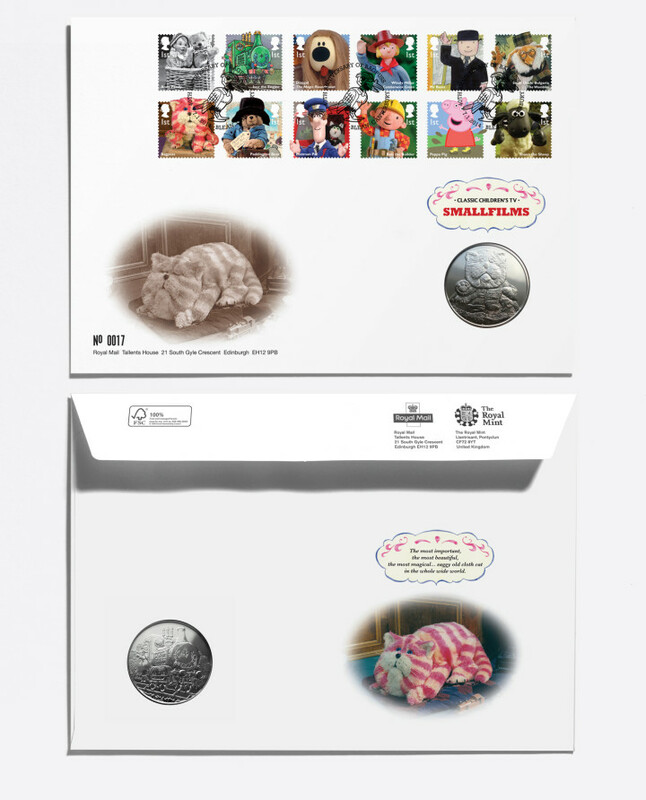 A medal pack was produced as part of the suite of collectibles, in conjunction with the Royal Mint. 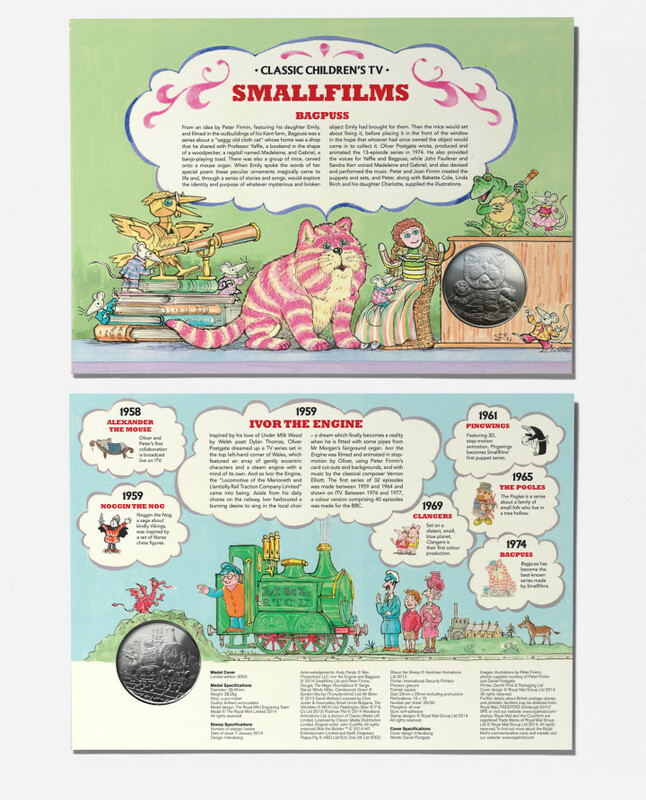 The pack focusses on the work of Small Films, whose much-loved output includes Bagpuss and Ivor the Engine. 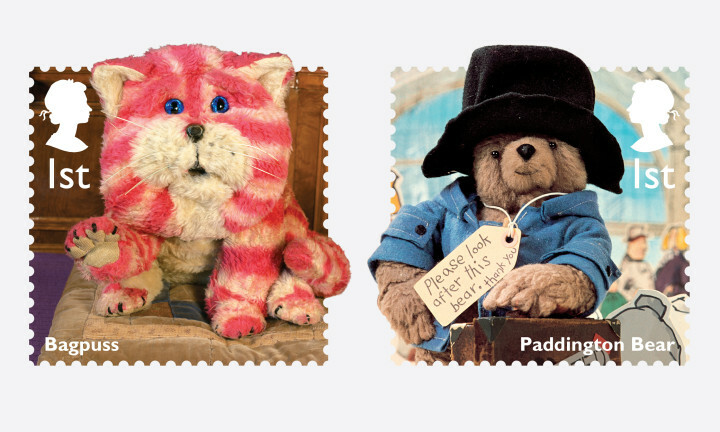 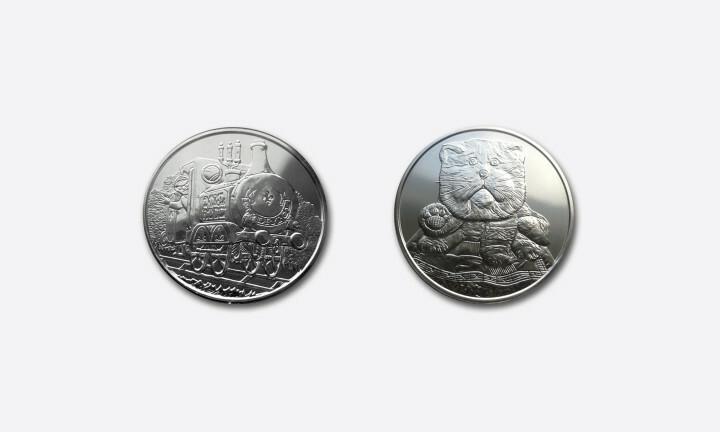 Newly commissioned illustrations were provided by Peter Firmin – the co-creator of these characters. 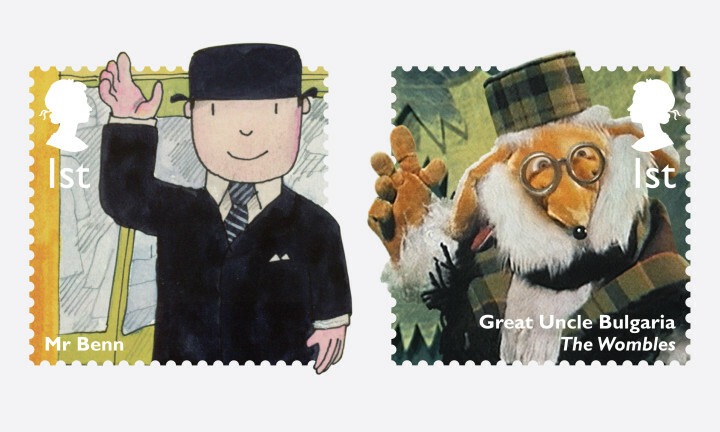 Children’s favourites are a class above.